This ticket is valid for one Grey Whale and Sea Life cruise and does not include Aquarium admission. 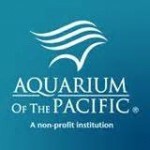 Aquarium admission includes all the galleries, hands-on-labs, and presentations as noted on the daily handout. 1 or 2 adults,, plus all children living in the same household (age 17 and under), transferable membership card, 1 nectar voucher, plus 2 guest tickets. Package includes preferred seating, framed group photo commemorative program, Knights cheering banner, slice of cake and an announcement of the party during the show. Please select date of attendance when purchasing tickets.